Hola Amigas! Hope you had a GREAT weekened. I certainly had a busy one. State Fair with my Girl Scout Troop and then off to celebrate my Godson Julian's 5th Birthday. Well this week over at the LNS Challenge Blog we are celebrating St. Patrick's Day. Even though we are not Irish I love celebrating ALL Holidays but of course I can get my GREEN on with this one! This is the treat I made for Solimar's teacher...the Box holds some Rocher chocolates inside. Hope she likes them...Come on over and play with us! Hola Amigas! How are you? I hope everyone's weekend was pleasant! Mine definitely was. Hubby spoiled me this weekend with a mini shopping spree. I purchased quite a few goodies and tables to FINALLY finish my office/class space in the basement. As soon as I get everything in place I will definitely take pictures to share with you. Wishing you a twirly-whirly birthday! 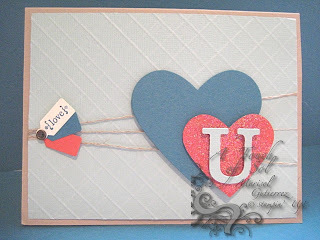 So TWIRL your way to your craft make a Birthday Card and upload it HERE! Hello Amigas. We are still Sale-A-Brating with Challenge 210. Please join the LNS Challenge Team in showing us your artwork using all the freebies in the Sale-A-Bration Brochure. Here I wanted to showcase that Stampin' UP also has to offer catty items. So if you were on the fence about getting the Simply Scored Diagonal Plate here is your chance to receive it FREE. 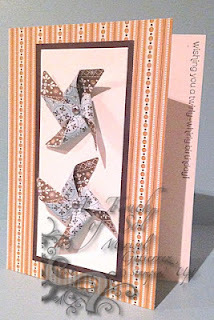 I used it to make the Lattice Background on my card. 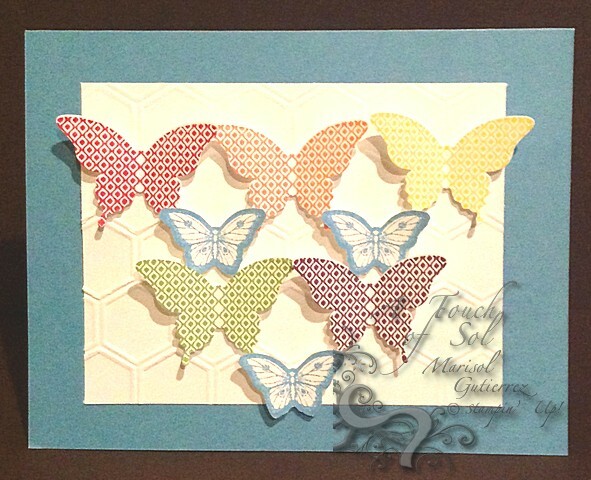 The Simply Scored Diagonal Plate makes it so easy to do so many fun designs. It fits right into your Simply Scored. I hope you will play along with us. Come on over and Sale-Brate! Hola Amigas. How was your weekend? Ours was GOOD! This week's challenge is FEELING BLUE! I hadn't inked Papillion Potpourri so this was the perfect opportunity...I am glad that Spring will be here before we know it and what better way to bring Spring in my home then to ink up some butterflies...How do you remember the colors of the rainbow. Me I always remember ROY G BIV from elementary school. I hope you will play along with the LNS Challenge Team this week. I will continue to make a couple more cards with this set as well. HMMM, what should I do with all those lovely butterflies. What is great is these BIG butterflies have a matching punch. AWESOME! Stop by and let me know you played so I can check out your artwork. The first is Oh, Whale. Isnt it the cutest whale? This set comes with 4 sentiments. One of them being Whale you be mine? It's very versatile. You can also purchase the Happy Whale Clearlits that will help in cutting the shapes out. LOVE when Stampin' UP! creates coordinating products. My last set is Dapper Dad. This is a very cool stamp set for all your masculine needs. 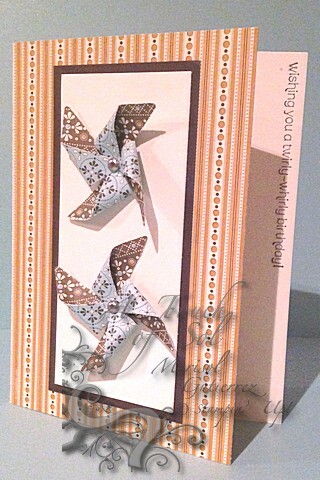 I don't know about you but I always rack my brain for ideas in creating masculine cards. I love how I used our new bottle caps to frame the watch...TOO COOL! I would love for you to try a FREE TWO WEEK Trial with SUDSOL! I hope you continue to enjoy our BLOG HOP. You can go to the Tammy's Blog by clicking the Previous Button or you can continue on your FA-BU Journey or artwork and go to Kirsteen Gill's Blog.